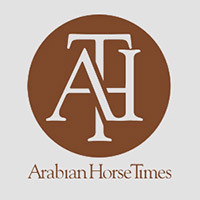 The Foundation is please to announce a new scholarship to be awarded at the Arabian Horse Youth Nationals. This scholarship is generously supported by Ty Wallis, DVM, and Brad Hill, DVM and their veterinary service Equine Athlete Veterinary Services. The scholarship will be awarded to a youth participant in the Youth Nationals and is based on need and scholarship and not on winning a class. 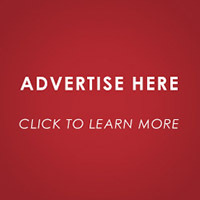 Please use the regular scholarship application found on our website. Submit the application in the normal manner as detailed on the website. This scholarship application is not due on April 1st but rather is due at the same time entries are due. On behalf of Arabian horse youth don’t forget to thank Ty and Brad by visiting the Facebook page for Equine Athlete Veterinary Service or at any of the regionals and nationals that they provide veterinary services for. Without people like them we would not be able to support our youth to the extent we can and do. Current research projects being supported by the Foundation include two genome based studies; one study investigating Equine Metabolic Syndrome (also known as insulin resistance), as well as a study that seeks to identify the genetic aspect of Juvenile Idiopathic Epilepsy. A study to investigate hoof imbalance and lameness has also been recently funded. Equine Metabolic Syndrome in the Arabian Horse – this project was initiated in 2010 by Dr. Samantha Brooks, previously at Cornell University and now located at the University of Florida in Gainesville. The goal of this investigation is to discover molecular biomarkers and pathways associated with obesity and insulin resistance in the horse. This study has the potential to assist owners in more readily identifying horses at greater risk of EMS – allowing for improved management of these individuals, especially in regard to feeding and exercise programs. In addition, given the influence the Arabian has had on other breeds, the project also has the potential to provide important information for the health management of horses in general. Preliminary results include genetic mapping and discovery of a specific genetic area (locus) conferring risk for laminitis in the Arabian horse. This genetic marker is very promising as a functional hypothesis for the development of EMS and subsequent laminitis. This project has entered into an exciting phase of the study, validating this allele with additional sampling, in order to confirm the findings and meet the stringent requirements for publication. The Effect of Hoof Trimming on the Medio-Lateral and Dorso-Palmar Load Distribution in Arabian Horses – this project with Dr. Babak Faramarzi at Western University is built upon a previously funded Foundation research project in which hoof strike data was gathered from a group of Arabian horses as they walked on a pressure plate, once before and once after hoof trimming. Data from this project will be analyzed through a software upgrade, which will work with the existing information, to examine biomechanical variables including vertical force, contact area and peak contact pressure at the medial, lateral, toe and heel regions of the fore-hooves. The results of the study will provide objective data on load distribution at different regions of the hoof in response to regular trimming. The results will provide valuable information on medio-lateral and toe-heel balance in Arabian horses and will create a benchmark for future studies, including a possible study of the effects of different trimming / shoeing practices currently used in Arabian horses. 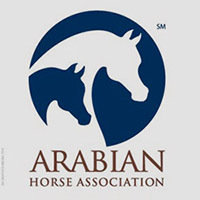 The Arabian Horse Foundation is supported by donations from AHA members. Donations can be made when you renew your membership or please visit our website to see the work the Foundation does on behalf of our youth and our horses.